It’s been a long winter. As a Breckenridge Realtor, I can tell you how glad I am that spring is right around the corner! So this week our Breckenridge Realtor team sat down and drew up a list of some of the events you and your family can explore in March. You’re bound to find numerous things you’ll really enjoy! Have you ever imagined yourself as a skilled skate skier? Then the Women’s Beyond Beginner Skate Ski Clinic Drop-In is the perfect activity for you! Come to this 3-week course taught by women for women and see your skate skiing ability soar! The first session will be on March 10th at 9:30am at the Gold Run Nordic Center in Breckenridge. The Lake Dillon Theatre Company presents an intriguing family drama called “Other Desert Cities” on March 13th at 6:30pm. With moments of great hilarity and heart-warming interactions, this production focuses on the journey of a memoir writer and her experience looking at her family’s secret history. There are several performances scheduled throughout the month so call to reserve your seats today. Looking to express yourself in paint? You can get step-by-step instruction to paint a beautiful “Powder Day Skier” portrait while socializing with friends. Join Nancy Branca at Ready Paint Fire! in Breckenridge for this fabulous Canvas Painting Party on March 15th at 7:00pm. No experience necessary! Ready for boating season? You can get prepped at the BYOK (Bring Your Own Kayak) event on March 25th at 7:00pm. 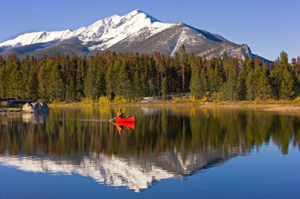 Come to the Silverthorne Recreation Center and get in gear for months of beautiful boating! With temperatures warming up, it’s the perfect time to go on an Historic Walking Tour around Breckenridge! Find out the amazing back stories on the earliest buildings in town. Plus, you’ll learn all about the different businesses and families that have made Breckenridge what it is today. This event takes place on March 30th at 11:00am at the Breckenridge Welcome Center. Want to Know About More March Events? These are just some of the events you can experience throughout March in Breckenridge and all over Summit County. For more ideas feel free to get in touch. My Realtor team and I are always happy to provide you with other great events and reasons to consider visiting or living in Breckenridge. If you’d like to view Breckenridge homes on the market this month, let me know and I can put together some properties that might suit your needs. Feel free to browse through the updated listings on my website before we talk about the homes that interest you. When you’re ready to talk through your options or schedule showings, contact me at any time via email ([email protected]) or on my office line. I look forward to working with you!